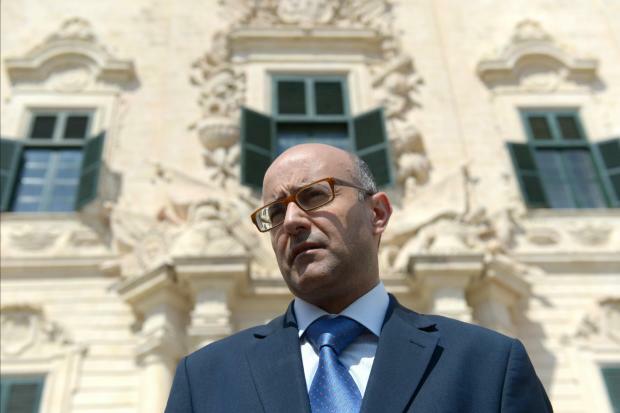 Nationalist Party MP Jason Azzopardi has downplayed tensions between himself and party leader Adrian Delia, saying people were “making a fuss when I said nothing extraordinary”. Dr Delia spoke directly about the MP during an interview on Net TV on Thursday, saying that Dr Azzopardi had some soul-searching to do. “If he really thinks that, then he must see whether his position within the PN is tenable,” the party leader said when asked about a cryptic Facebook post Dr Azzopardi had uploaded on Wednesday. In that post, Dr Azzopardi had mused about the “advice” some “supposed opponents” were offering Dr Delia. “Have you ever heard in football, say, the Roma coach giving advice or defending his Lazio counterpart? Or the Manchester United coach defending/advising the Liverpool coach?” he asked his Facebook followers. Dr Azzopardi shared that post a few hours after government consultant and Dr Delia’s self-professed “friend” Robert Musumeci told Times Talk that the PN leader had to act quickly and be decisive if he was to stymie ongoing dissent within his own party. On Friday, Dr Azzopardi told Times of Malta that his football-themed Facebook post was directed towards “Labour loyalists”. “All I said was that the PN should make up its own mind. Advice from opponents is worthless,” he said. Dr Azzopardi urged people not to misconstrue Dr Delia’s words, and insisted his party leader’s words had to be taken in context. “Adrian didn’t take it badly at all,” he insisted with Times of Malta. Dr Azzopardi and Dr Delia have regularly failed to see eye-to-eye, with the PN MP having also been one of the biggest opponents to Dr Delia's PN leadership bid back in 2017. In a post on Facebook, former Nationalist rebel MP Franco Debono said Dr Azzopardi was right. There should be respect and cordiality between adversaries but it was abhorrent and weakened one considerably to take advice from them. Fiorentina respected Milan but would not take advice from them, he said.